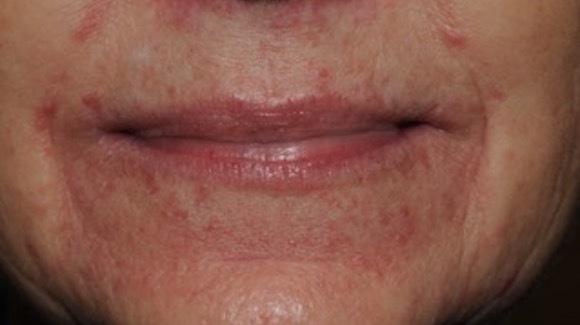 This 61-year-old woman presented with a 5-day history of a sudden pruritic rash around her mouth and eyelids. She had visited an ophthalmologist who treated the lesions with loteprednol etabonate ophthalmic suspension, which had led to no improvement. She also had been started on oral clindamycin, again without any improvement. She denied any exposure history or change in the use of personal care products. 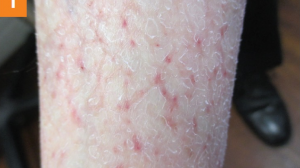 How would you diagnose this itchy facial rash? 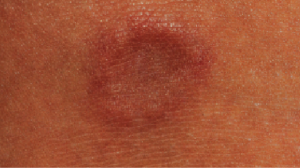 This patient had perioral/periorbital dermatitis, a condition of uncertain etiology. 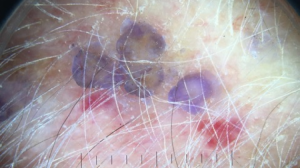 Sometimes, a patient will have a history of topical corticosteroid use, which was not seen here. 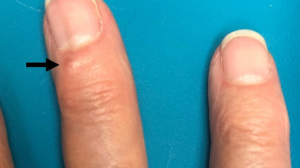 Fortunately, this condition typically responds to tetracycline-class oral antibiotics, but it takes up to 3 weeks to see a response. Relapses are not common, but when they occur, they do respond to oral therapy. 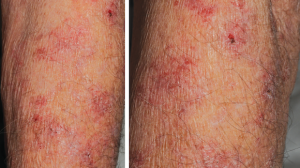 Topical therapy can play a role for many patients but is not consistently an effective treatment strategy. 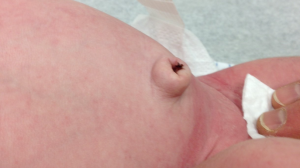 Staphylococcal infections are typically more tender and more inflamed than this patient’s lesions. 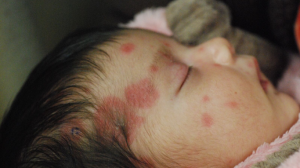 Impetigo usually develops crusted lesions and should respond to clindamycin. 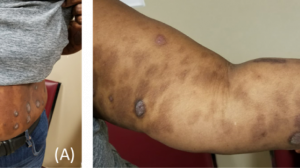 Candidiasis would not be expected in an immunocompetent patient. 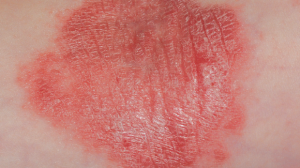 Contact dermatitis is possible, but the papular nature of the condition and the lack of history makes it a less likely diagnosis.